Who says RV kitchens require compromise? 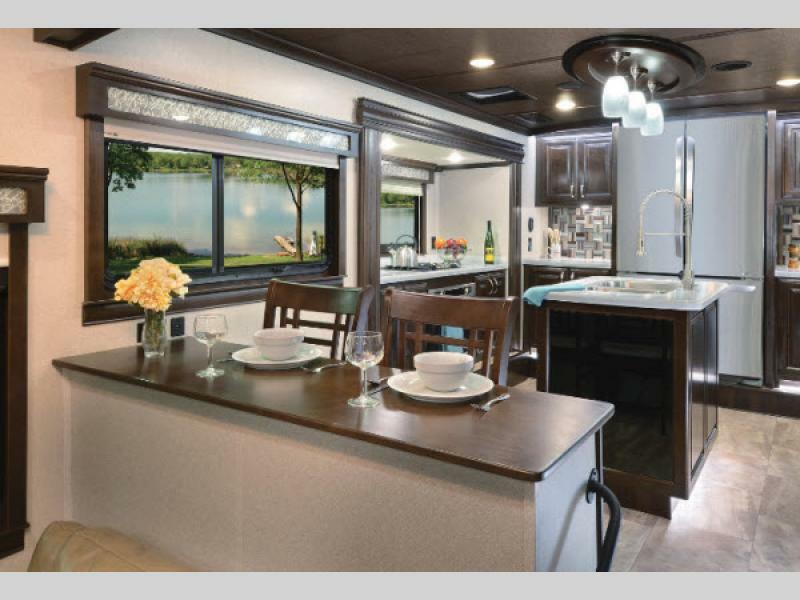 Every kitchen in the RiverStone fifth wheel floorplan is impressively designed to rival a gourmet kitchen you might expect at home. 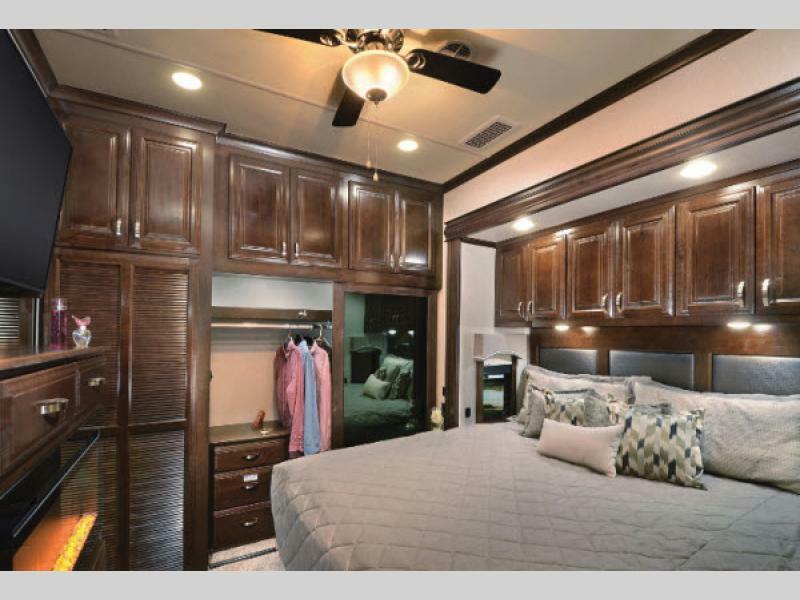 Using the upper deck of the fifth wheel, the RiverStone’s kitchen is spacious and well appointed. We absolutely love how this kitchen allows foodies the opportunity to take their culinary genius on the road. Can we take a moment to appreciate not just the size of this bathroom, but also the absolutely gorgeous cabinetry fixtures? From the double sinks to the large shower to tons of storage, this is a bathroom made to rival that you might find at home. Whether you spent the day on the golf course or hiking new trails, you’ll want a comfortable, welcoming bedroom to come home to at the end of the day. From the plush mattress to the array of storage, you might find yourself preferring this space over your bedroom at home! 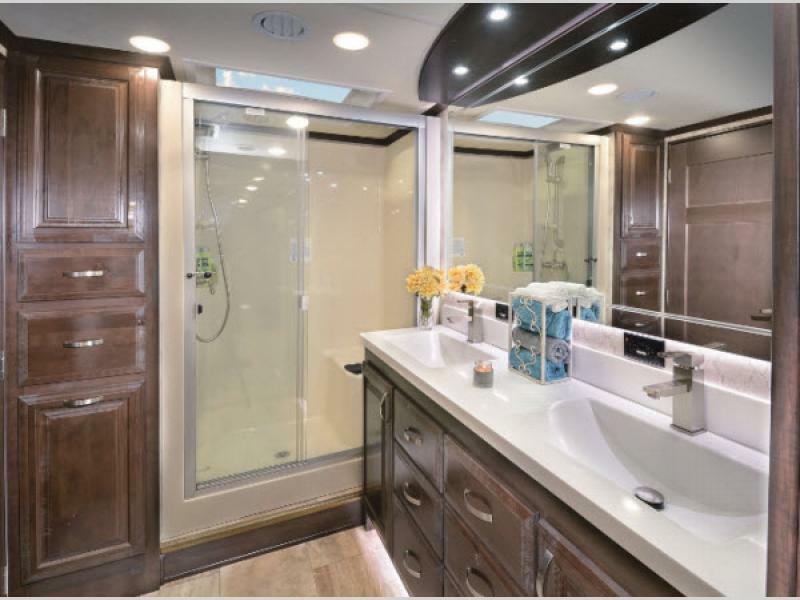 Interested in learning more about the RiverStone fifth wheel? Contact us to speak with a RiverStone specialist, or stop by and walk the lot. You’re sure to be impressed by these fabulous units.